Last week, more than 350 ELCA clergy and lay people sent a letter titled #MoreThanStatements to ELCA Presiding Bishop Elizabeth Eaton and the ELCA Church Council encouraging the church to take bold public action on family separation and detention on the U.S. border. (Similar letters were also sent to the Presbyterian Church (U.S.A.), the Cooperative Baptist Fellowship and The Episcopal Church). “Statements are not enough,” the letter read. Eaton agreed: “The ELCA is deeply engaged beyond statements through all expressions of the church. As church together and for the sake of the world, we all must engage in action.” She encouraged participation in a number of ELCA ministries and programs already in place. Eaton pointed to the ELCA serving as a leader among churches addressing migration through its AMMPARO (Accompanying Migrant Minors with Protection, Advocacy, Representation and Opportunities) strategy. “The 2016 Churchwide Assembly adopted this strategy as a clear and public affirmation that our faith and social teachings call us to accompany and stand with migrant children and families,” she said. “Together, we are taking action to address immediate needs, shape public policy and long-term solutions in countries of origin and the U.S.,” said Eaton. AMMPARO was born in partnership with the ELCA’s international companions and ministries in northern Central America, informed by their experience with the plight of Central American migrant children and families. The ELCA currently has five sanctuary synods and at least 50 sanctuary congregations connected to the AMMPARO network. AMMPARO has organized groups in 19 synods and 97 welcome and sanctuary congregations in 28 synods, as well as with The Episcopal Church, equipping them to take action in their areas. 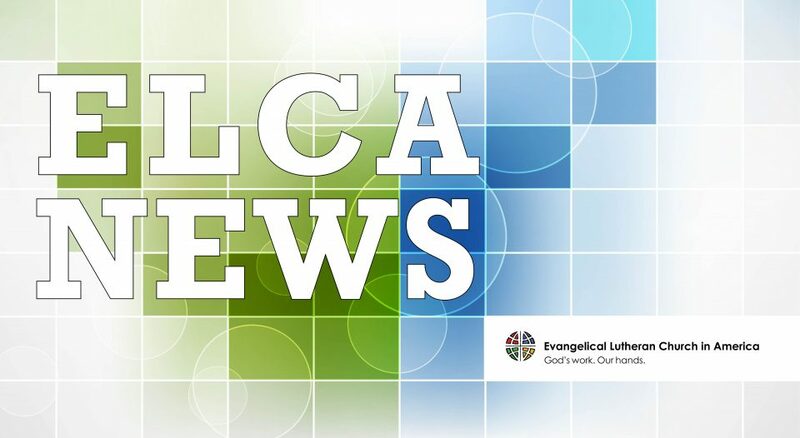 The ELCA through ELCA Advocacy encouraged leaders and members to participate in the June 30 mobilization planned by Families Belong Together. Some state events are being sponsored by ELCA Advocacy state public policy offices. Through AMMPARO, ELCA leaders have also been asked to write op-eds on the topic for their local media, many of which have been published. Last week at the ELCA Youth Gathering, many leaders spoke boldly about family separation and detention. In the AMMPARO/Lutheran Disaster Response space at the Gathering’s interactive center, youth were invited to sign advocacy cards, which will be sent to their representatives. Synods have also organized related advocacy events and rallies. AMMPARO staff have also made two visits to different sectors of the southern border in the last two months, connecting to ELCA AMMPARO congregations and connected ministries in both the McAllen/Laredo area of Texas, as well as Tijuana, Mexico. Those relationships allowed an ELCA congregation to provide accompaniment after Claudia Gomez Gonzalez, a young Guatemalan woman, was killed by a U.S. Customs and Border Protection officer. Individuals have been encouraged to visit the border through Igelsia Luterana Cristo Rey, an ELCA congregation in El Paso, Texas, that organizes border-immersion experiences. The ELCA collaborates on strategy with Lutheran Immigration and Refugee Service (LIRS), the National Immigration Law Center, Mijente and the New Sanctuary Coalition. The ELCA and LIRS’ history of support and collaboration has helped ensure that AMMPARO is able to accompany children and families. Through ELCA Advocacy, the ELCA is a member of the Interfaith Immigration Coalition, a group of approximately 50 faith-based organizations that advocate together for compassionate immigration policies. The ELCA also belongs to other national coalitions that engage in immigration work at all levels, both secular and faith-based. “While this work is not always visible, it is key to the work we do as a church,” said Eaton. Among the ELCA tools in place for congregations to engage in the political process is the ELCAvotes initiative, which equips communities to register people to vote and to continue engagement in the political process. When Eaton first heard about the new family-separation policies, she contacted AMMPARO staff to ask about the best way to accompany the affected families. “They suggested the first step would be speaking as strongly as possible with other faith leaders in opposing the practice,” she said. She and other faith leaders drafted a statement that was picked up by media outlets and partners across the country. When Congress later considered bills that would increase family detention, Bishop Eaton released a statement in support of alternatives to detention. “Statements are just one piece of the process, and an important first step on Capitol Hill,” she said. ELCA Advocacy works to ensure that these statements reach legislators—including Lutheran legislators—to advocate for policies that treat migrants with compassion. “For justice for migrant children and families to be the reality in the U.S., it will take all of us together with our creative and bold actions,” Eaton said. Those with ideas for action beyond those already mentioned are encouraged to contact AMMPARO staff.